President Olusegun Obasanjo has sought the “personal intervention” of the Prime Minister of Singapore, Mr. Lee Hsien Loong, in the imminent execution of a Nigerian, Mr. Iwuchukwu Amara Tochi, in Singapore. The House of Representatives also yesterday at plenary described the death sentence placed on the Nigerian footballer as a political matter noting that President Olusegun Obasanjo must do everything within his power to ensure the boy is not killed by Friday. In a personal letter to Prime Minister Loong, the President said a Presidential clemency is the only option for saving the life of the 19-year old Nigerian. He said he was making the request on the basis of the excellent relationship that has existed between both countries. “It is for the reason of obtaining your kind pardon and clemency for the convicted Nigerian that I write this letter to you, conscious of the excellent relations that exist between our two countries, to earnestly urge you to reconsider the conviction of the Singaporean Court of Appeal and to commute the death sentence to imprisonment,” stated the President. Also yesterday, the Speaker of the House of Representatives, Alhaji Aminu Bello Masari was at the State House to request President Obasanjo’s intervention in the matter. 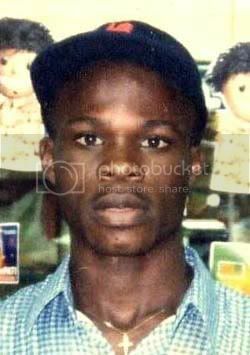 Iwuchukwu Amara Tochi was condemned to death by the Singaporean Appeal Court for illegal trafficking of heroine. His death sentence which is to be carried out on January 26 is however fraught with irregularities that has attracted several civil society and other interest groups around the world who have condemned the judgment of the court. The Nigerian was alleged to have been affirmed innocent of the offence, but the court refused to commute his sentence. The House of Representatives also yesterday at plenary described the death sentence placed on Tochi as a political matter noting that President Olusegun Obasanjo must do everything within his power to ensure the boy is not killed by Friday. This followed a motion sponsored by Hon Halims Agoda urging members of the House as well as urging the executive and judicial arm of government to intercede on behalf of Tochi Iwuchukwu. After much deliberation that lasted over one hour, Speaker Masari said he would personally meet the President and convey the message from the House to the President. Also, read Yawning Bread’s account of the case here.